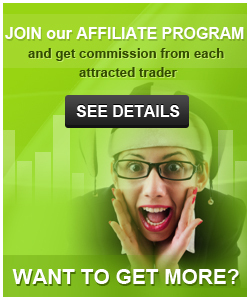 Admiral Markets International financial services company was established in March 2001. Today the company has branches in 37 countries and has been providing its customers with innovative trading technology and brokerage services in Forex international currency market, as well as the stock markets (CFD), stock indices, precious metals and energy futures. The company was among the first to offer customers from Russia affordable and quality services of Internet trading in global financial markets using modern, intuitive and versatile trading platform MetaTrader 4 from the world famous developer MetaQuotes Corp. Admiral Markets Ltd charter capital is 1,500,000 U.S. dollars which provides the customers with a high level of guarantees to fulfill the financial obligations of the Company. Play for fun, learn for real - with the ForexBall™ International Trading Championship. Admiral Markets presents the new ForexBall™ competition: the most social, most lucrative and above all most educational trading contest there is. Rounding up Admiral Markets' extensive information and education offers, the ForexBall™ is a comprehensive training and learning opportunity for all participants. With contest rounds running every week, players can track their successes, learn from their mistakes and work on their strategies in the long term. News feeds, analyses and expert articles are just some of the informative features of the ForexBall™ website. 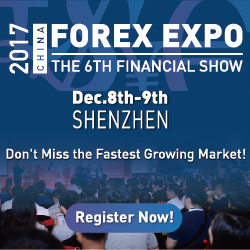 Besides great learning opportunities, the trading competition offers attractive prizes: more than half a million US dollars are awarded every year to the traders with the best weekly and monthly performances. New social networking features allow contestants to connect and interact with each other, as well as to learn from the most successful participants' strategies. The ForexBall™ is carried out on Admiral Markets demo accounts with a starting capital of $10,000. The weekly rounds start every Monday and end on Fridays - giving contestants 100 heated hours of trading to make the most profit. 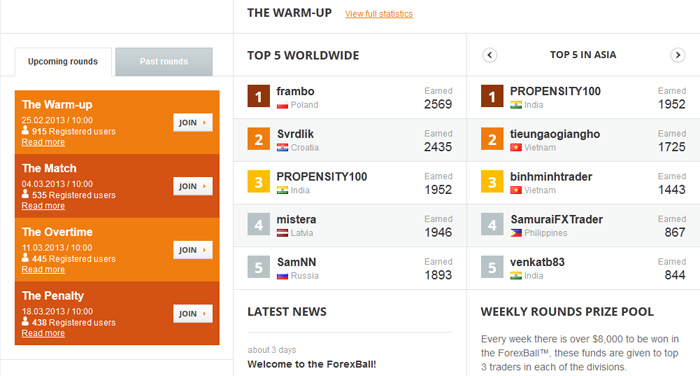 Sign up now and open your ForexBall™ contest account! You can join any round at any point in time - just jump in and start trading. Want more information? Read the contest rules, learn about the prize structure or check out Admiral Markets' training and information offers on the ForexBall™ website. 2. Contact Admiral_Markets to have the funds transferred from your old account to the new one.